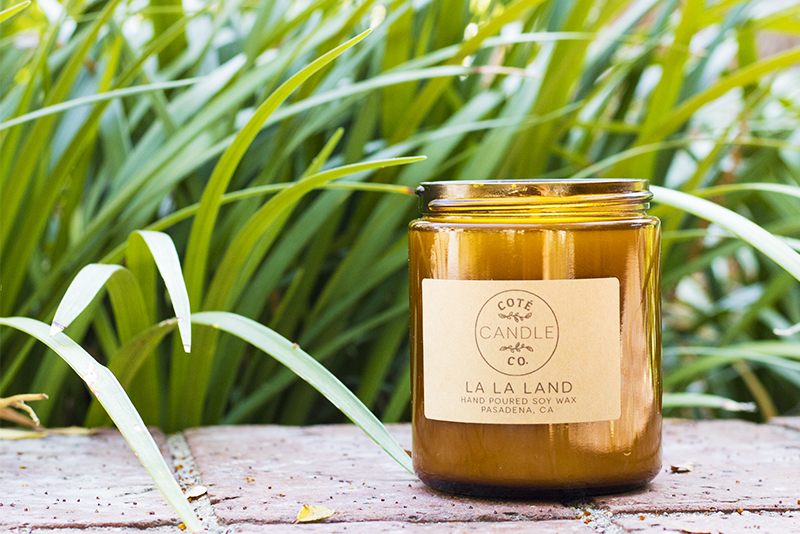 A lovely candle on a beautiful day. Hello, friends! Over here in Los Angeles, it is hotter than I can bear. I've been fairly comatose from the heat and I've spent the majority of the weekend with the fan aimed at me because our AC doesn't really work. Thankfully, its cooled down a bit during the nights (though this coming week will be a scorcher) and we could watch Game of Thrones comfortably. Did anyone else see it? I can't even deal right now. I mentioned that I was sick last week. This year, I've noticed a tendency for me to get hot, overheat, and generally be intolerant of higher temperatures. I've always love the cold and ran a little hot, but after I had another overheating/nausea spell this past Tuesday, I decided to go to my university's health center. We've ruled out the major culprits like diabetes and pregnancy. We suspect a medication I've been on for a large part of this year is the root of the problem so I'll be getting some blood tests and having follow up appointments in the coming month. In the meantime, I'm doing my best to get moving when I can, eat a healthy diet, and stay hydrated. I had a discussion with my advisor and I'll be pursuing a new avenue of research in the last few months of my doctoral research. I'm pretty excited though also stressed because I have exams as well as searching for employment. In less stressful news, I managed to get in three photoshoots this week. Whew! It's been a pretty crazy week. Here is an image I shot on Friday. Yes, I know, I know. I'm getting boring. All I post are photoshoots and I still have Alaska / beauty / and new haircut posts to write. Holy moly, it's been two months since I've been to Alaska. Where did the summer go? As I've mentioned above, I cut my hair short this week. It feels so much lighter and I may never go back to long hair again. On Saturday, Roberta made me a lovely homemade meal that included handmade pasta an slowcooked sauce. We ate it outside under fairy lights with lit candles. I always end up doing the stereotypical "romantic" things (biking down the shoreline of Santa Monica, walking through the gardens as the sunset) with my female friends! I wouldn't have it any other way than to be in good company and having nice moments. Well, that was my week? How was yours? Tell me the most interesting thing that happened! • Kyle's street photography during the solar eclipse in NYC. • Michelle's take on the "busy" norm. Definitely worth a read! • Victoria Sand's article on the commercialization of self-care on YouTube. I hope that you'll feel better soon and that you'll find out what's the cause of it. Anyways, I watched the Game of Thrones and it's flipping amazing and I don't know what to do the whole year until the new season. It's ridiculous. Also, that photo is gorgeous! Also LOVED that Buzzfeed piece on self-care. It emulates so much that I've been trying to put together! I hope you get to the root of your problem soon! This Summer really has flown by, and your Saturday sounds like it was lovely! I spent my own shopping for Fall decorations, and I ended starting my Christmas shopping early. Possibly too early? Have a great new week Alyse! Man, we're having some pretty bad heat wave out in SoCal! Haha, I've been having the fan aimed at me these past two days. Hope we'll experience cooler temperatures as September kicks off. I'm sorry to hear that you felt nauseated again last Tuesday. Hope we will hear some good news! Oooh! Look at you with the research ops! Soon to be Dr. Alyse! Your photography is stunning. Wait - STUNNING!!! Need it in big letters. I remembered messing the group earlier about it being September. WOw time flies. We need to hang out again because I want to see your new hairdo! I hope your new research plan will go well! And kudos to you for doing three photoshoots this week! You're doing well keeping up with this new activity. I, too, cut my hair to a more manageable length, and I feel the same in that I no longer want my hair to be super long like before. It is so mild in Texas now because of Harvey and while that can be a good thing, it isn't for gas prices and floods. But this just means that maybe we will have a harsh winter in Texas, for sure. hope the test coming up as nothing serious. just do whatever you can to stay healthy, alyse! eat veggies and maybe add vitamins. you are one busy admirable woman. i must've been faint if i was on your shoes! YAAAAAAYYY FOR SHORT HAIR! I am so sorry to hear you've not been well! I'm ill also at the moment - it's no fun at all, is it. I hope you're feeling better soon. The weather here has been seriously cold recently!